Its been a huge year for Wooly Mammoth. After a bumper 2017 the band came into this year strong with their first nation-wide tour. Following on from that, the guys hit it big at The WAM Awards night last month, winning Most Popular New Act. 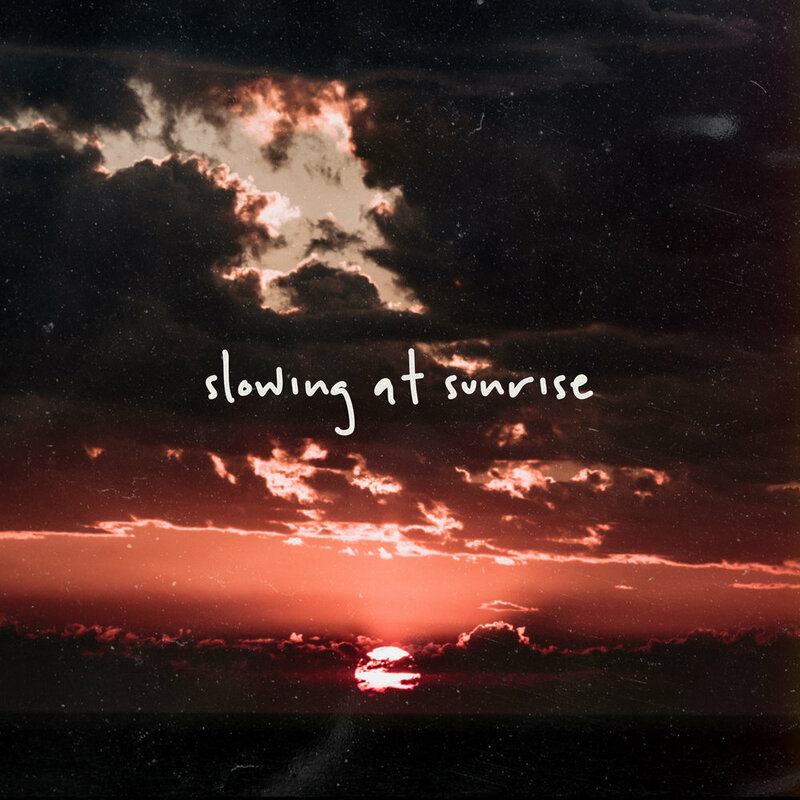 Rounding out the year, the guys have just released their new single Slowing at Sunrise, which you can listen to below. This was a great opportunity to check in with the Perth locals and find out what they thought about their year, how the new single came about and what to expect from them next year. You guys are back in Perth after touring earlier this year. How was that experience? Any gigs that stand out? Jon: Touring was an awesome time and a great eye-opener into how the music industry works. It was wicked (and a bit surreal) to head across the country and meet bands doing the same things as us, just in a slightly different environment. We thought Brisbane especially had a pretty pumping local live music scene. Playing at the Gaso Upstairs in Melbourne felt like one of the most notable shows. It was our first show of the tour so we were super excited and that place feels like an institution - so many bands have come through there. Josh: Playing at Miami Shark Bar and looking down to see a couple people belting out Made to Fall. How was returning to Perth after touring. Did you guys take a little time to relax or was it straight back into the studio? Jon: We were straight down south for more gigs the next week! It was almost like we were home just long enough to lull our bodies into a false sense of security and then bang ­— we were gone again. After we played our final show of the tour at Mojo’s we headed into the studio the next day to record Slowing at Sunrise. It was a massive month but we learnt a lot as band and got a lot closer as mates. Winning WAM’s Most Popular Act must have been a huge moment. Talk a little about that. Jon: It was pretty surreal. Josh and I were up the back so we had to walk pretty damn far to get up the front to accept it. I mentioned on the night that we don't seek out these kinds of things as musicians really, but it's always nice to be respected by a community filled with so many people we respect. There were some wicked bands in the category too! Any other favourite moment from WAM fest this year? Jon: The Demon Days set at the Lot Party was absolutely pumping if you ask me! Tell us a little about the new single? Where is it coming from? What was the writing process like? Jon: I wrote Slowing at Sunrise from a place of constantly feeling like I was tripping over at that last hurdle. I had this little realisation that I should give myself some credit for getting to that last hurdle in the first place and not be so hard on myself all the time! Christian: When Jon brought it to the band it came together really naturally and it felt like a return to the more organic sound of some our earlier tunes (Made to Fall for example). We took it on tour as a new one in the set and it grew a lot. We actually made some big changes the day before heading into the studio. Anything planned for the next year yet? Early next year will see another single and a new EP from us. There's also a few shows in the works all over the place. We'll be back over east pretty damn soon. With so much going on for you guys, what was your best moment of 2018? Jon: First Triple J play for Taking it Slow was pretty cool. But I'd say playing at Falls probably took the cake! Christian: I remember being bummed that we were playing in a little shipping container and then absolutely loving the sweaty, packed experience that it was. Definitely needed to change shirt after. Eyres: Playing Bangarang to wake 7 people up at 5am on our last night in Melbourne. Jon: Well we're gonna be bringing it in at Indi Bar with good mates Great Gable and more, so I dare say that'll be a bit of a high. But next year we're hoping to play some bigger shows in Perth and over east and I'm hoping our best moment of next year will be hitting another festival stage. Christian: I reckon it'll probably be watching Jon bust some trademark dance moves after another over east show. Another Perth band you think people should be listening to? Jon: Well you'd have to have been under a hole to have missed the waves he's been making, but Noah Dillon for sure. Dulcie as well, those girls are awesome. Christian: How much time you have you got! Honourable mentions go to to Grace Armstrong, Butter and Miraud. Your favourite Christmas jingle? ‘Tis the season after all. Jon: Joni Mitchell's River gets me every time. Don’t know if it's really a Christmas song but it's getting my vote. Christian: I mean there is no least favourite Christmas song? But my favourite is the 2004 version Do They Know It’s Christmas? By Band Aid 20. What about How to Make Gravy? Does that count? Jackson 5's Have Yourself a Merry Little Christmas? Banger! Eyres: Sleigh Ride for sure. Ring ting tingling toooooo. Most Importantly, when and where can we see you guys next. Next show is the Slowing at Sunrise launch at the Indi Bar. We've got Leopard Lake and Dulcie supporting and it's gonna be a cracker. Tickets available at our website through Oztix.